Conan O’Brien has been known to feature cool videos on his show dedicated to poking non-offensive fun at Apple’s products and the people that use them. His latest one is a parody promo ad of the iPad mini and things somehow got to the iPad Mini Mega, the iPad Mini Mega Micro and finally the iPad Mini Mega Micro Max. Let’s get to it then, here’s the hilarious video itself. 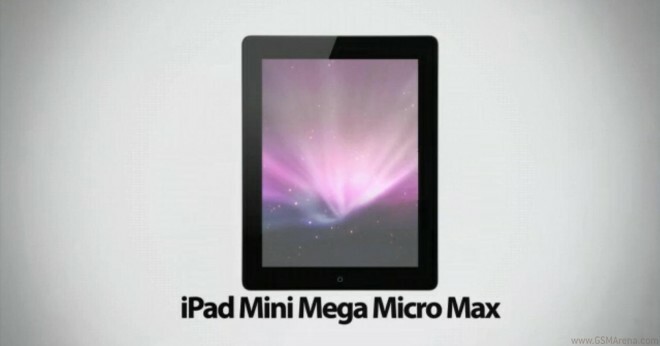 Here’s Conan O’Brien’s previous funny iPad mini video, where Apple itself is in focus. And if you’ve missed it here’s a parody promo clip by the Gentleman’s Rant on YouTube.